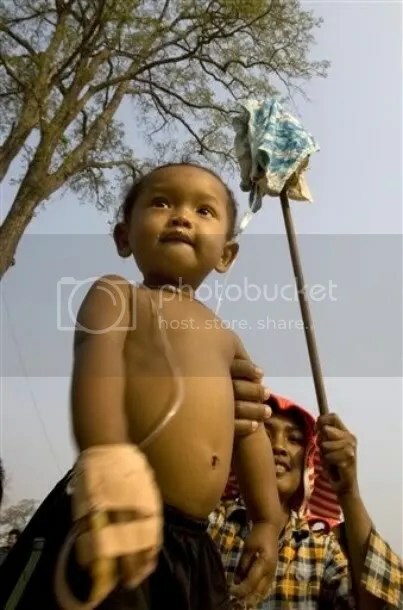 A Cambodian boy, receiving treatment from serum bottle, left, and his mother wait to receive refugee distribution at Sra-em village near Cambodia’s 11th century Hindu Preah Vihear temple in Preah Vihear province, about 245 kilometers (152 miles) north of Phnom Penh, Cambodia, Thursday, Feb. 10, 2011. A Cambodian woman, left, holds a serum bottle hanged in a bamboo stick for treating her son while waiting to receive donation for refugees at Sra-em village, near the 11th century Hindu Preah Vihear temple, the World Heritage, in Preah Vihear province, about 245 kilometers (152 miles) north of Phnom Penh, Cambodia, Thursday, Feb. 10, 2011. 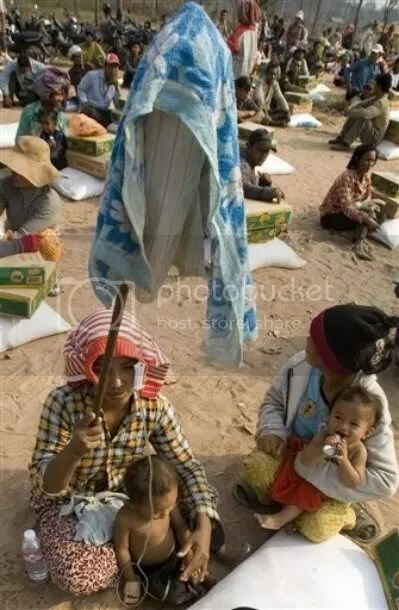 A Cambodian boy, bottom, receives treatment as his mother holds a serum bottle at a refugee camp of Ta Keung village, about 70 kilometers (43 miles) south of Cambodia’s 11th century Hindu Preah Vihear temple near the deputed border between Cambodia Thailand, in Preah Vihear province, Cambodia, Friday, Feb. 11, 2011. The battle over a hilly patch of land in this remote countryside is rooted in a decades-old border dispute that has fueled nationalist passions and been driven by domestic politics and conspiracy theories on both sides.